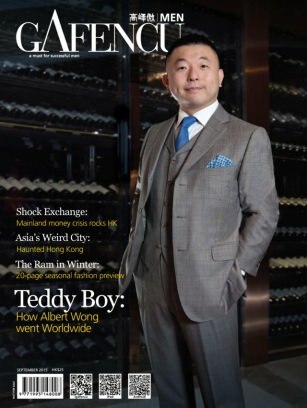 NEW YORK, NY--(Marketwired - September 09, 2015) - Total Media Limited, one of the leading publishers from Hong Kong, has been impressing the readers of Magzter with two editions of its Gafencu Men magazine for three years now. Published in English and Chinese every month, Gafencu Men is the ultimate guide to success in Hong Kong and greater China. Gafencu Men covers all the elements that are essential for the truly successful man. 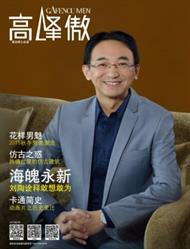 The magazine not only showcases how to achieve success, but also throws light on how to dress for success. The magazine's exclusive interviews with exceptional achievers and the most stylish individuals motivate youngsters to chase their dreams and set new benchmarks. From must-wear fashion trends to perfect grooming tips, the magazine focuses on everything that successful men need to concentrate on. The English and Chinese editions of Gafencu Men magazine are available for FREE on Magzter. "Like its readership, Gafencu Men has a 24/7 commitment to delivering excellence in every area of its activities -- print, events, broadcast and online. With access, reliability and speed of communication at a premium, Magzter is the obvious partner for Hong Kong and mainland China's leading title for affluent and aspirational men." -- Ms. Lina Ross Mohindar, CEO and Publisher, Total Media Limited, Hong Kong. "There are quite a few magazines that guide you how to become a successful person, but not many magazines tell you what to do after becoming one. Total Media Limited's Gafencu Men magazine truly stands out in this aspect, as it not only motivates people to become successful, but also guides successful people to stay at the top with authoritative style and attitude. Three cheers for Total Media Limited's three glorious years on Magzter!" -- Girish Ramdas, CEO, Magzter Inc.
"Hearty congratulations to Total Media Limited for completing 3 years on Magzter's newsstand. It is quite heartening to notice that Total Media Limited's Gafencu Men magazine has been growing from strength to strength with its superlative and engaging content for successful men. Here's wishing the spirited publisher to continue impressing the readers of Magzter for many more decades to come." -- Vijay Radhakrishnan, President, Magzter Inc. The FREE Magzter app is available on Apple iOS, Android (Google Play), Amazon App Store and Kindle Fire as well as the web with more platforms coming soon. Users can buy their magazines on any of the devices/platforms mentioned above and seamlessly port their purchases to any other devices, a feature unique to Magzter.